The branch courthouse at Belmont and Western will close after conducting business on January 4th. Cook County officials have announced final details of their plan to close a courthouse at 2452 West Belmont at Western Avenue. 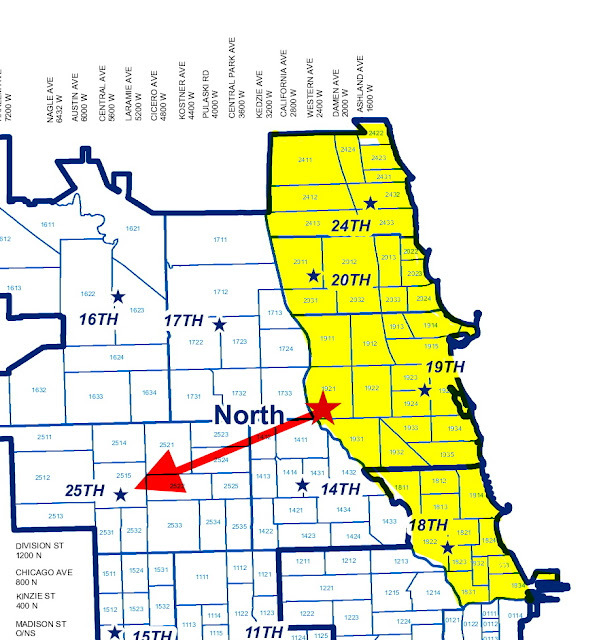 Victims of misdemeanor crimes on the North Side will now venture to the distant Belmont Cragin neighborhood to have their cases heard. 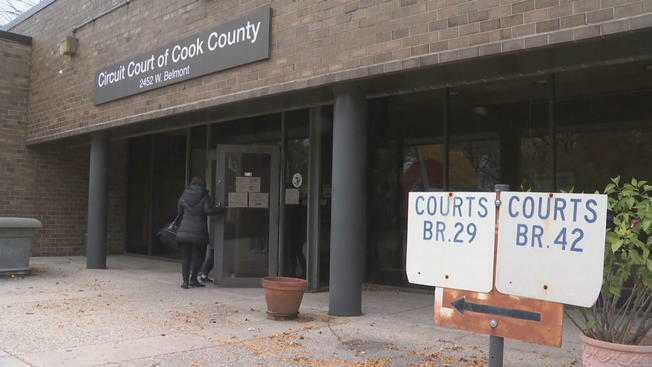 The closure of the Belmont Avenue courthouse and another facility on the South Side is being promoted as a way for the county to save $9.2 million in facility repairs. Misdemeanor cases from the yellow-shaded police districts are being moved from Belmont and Western (star) to a courthouse at 5555 West Grand, which is located in the same building as the 25th District police station. Misdemeanor cases originating in the 18th, 19th, 20th, and 24th police districts will now be heard in a courthouse at 5555 West Grand, Cook County Board President Toni Preckwinkle announced. The delightful feature of the courthouse at 5555 West Grand is that getting there via CTA will be at least an hour-long venture from any of the North Side’s lakefront police districts. Even from the Loop, it’s a train-and-a-bus trek via CTA. Good news! You could grab Metra’s Milwaukee District West Line at Union Station, jump off at Hanson Park then walk. The most convenient train will get you there about four hours before the court call. The first train back to Union Station after court call ends will leave Hanson Park around 3:30 p.m. So, be sure to pack a book so you can fully enjoy your daylong adventure to the middle of nowhere. The courthouse is so far out of the way for the crime victims who are likely to need it, some skeptics might think that there are ulterior motives for the closure of Belmont Avenue and selection of 5555 West Grand as its replacement. A motive such as discouraging crime victims from showing up in court so the cases will be thrown out. That would dovetail nicely with the county’s other criminal-friendly policies such as offering low- or recognizance bonds to undeserving defendants; ignoring state law by refusing to charge felony thieves with felony counts; and settling violent crime and gun cases for lesser charges. In budget testimony last month, Cook County State’s Attorney Kim Foxx openly complained about the number of misdemeanor cases her staff handles each year. What better way to reduce their caseload than make it inconvenient for victims to get to court? On the other hand, persons arrested for misdemeanors in the North Side lakefront police districts on Sundays through Thursdays are in for some inconveniences, too. Their initial post-arrest hearings used to be held at the Belmont and Western courthouse. Effective December 10th, those petty criminals will be hauled all the way to 26th and California for bond court. Friday and Saturday arrestees already go to 26th and Cal for their hearings. The Belmont and Western courthouse will close permanently after court calls on Friday, January 4th, 2019. Starting January 7th, all misdemeanor matters formerly held at Belmont and Western will transfer to the courthouse at 5555 West Grand. Felony preliminary hearings that used to be heard at Belmont will move to the Skokie Courthouse at 5600 Old Orchard Road.